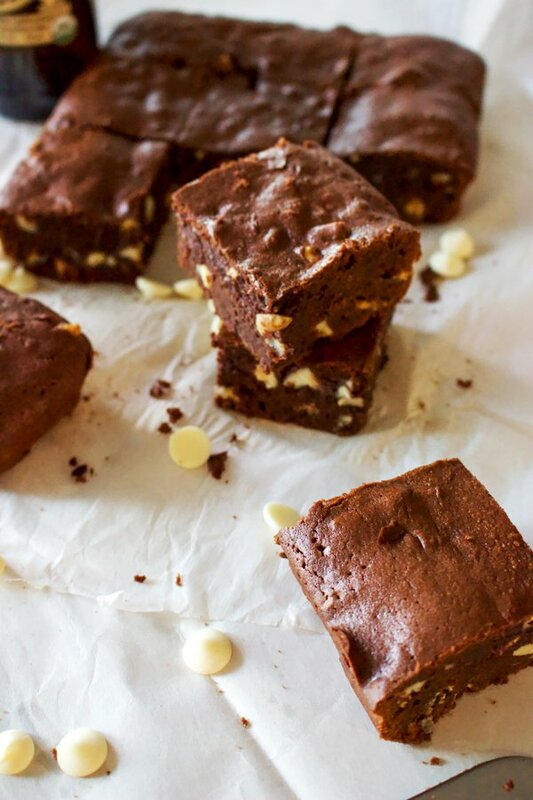 Very easy to make and delicious, this brownies are all you need to calm an acute chocolate craving. I am not inventing the wheel here. I would not be able to. 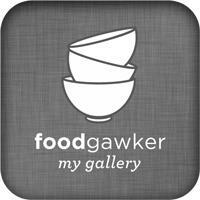 However, I am always looking for new recipes and I read a lot of cooking books. 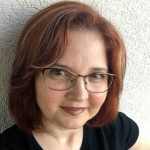 I also make a lot of research and enjoy to learn about ways to make amazing recipes with good, quality ingredients. 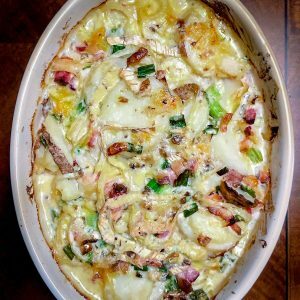 This recipe was inspired from a book I found recently “Cooking With Beer”- by Paul Mercurio. I liked the recipes in this book because the author explains in detail what type of beer he used in a certain recipe and why. It was fascinating to learn about how many beers are out there. As I am not a beer drinker, I do not know a great deal about them, so it was interesting to go through the book and learn new things. 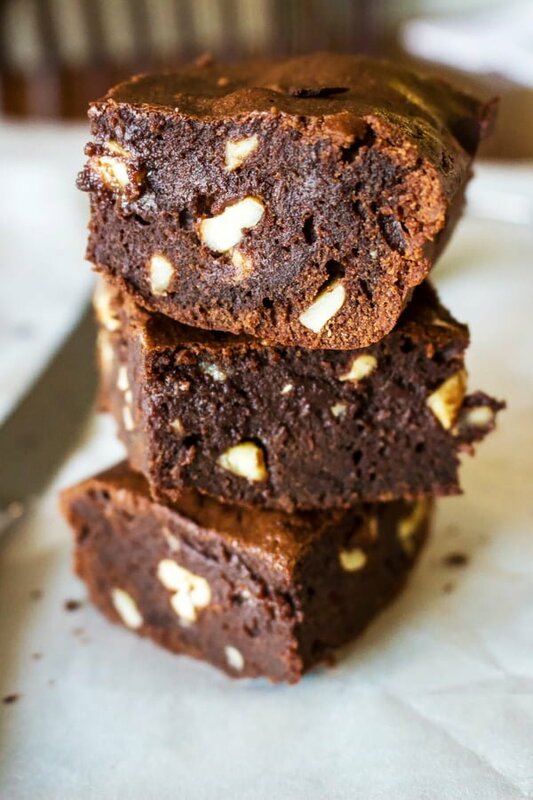 The book had this recipe of brownies that I adapted to fit the ingredients I had available. 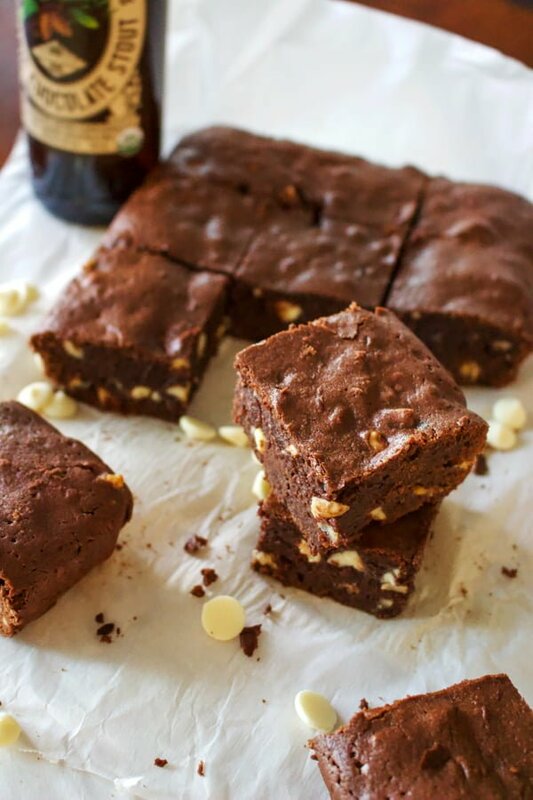 This recipe has definitely the right ingredients to make me excited and happy to bake brownies. 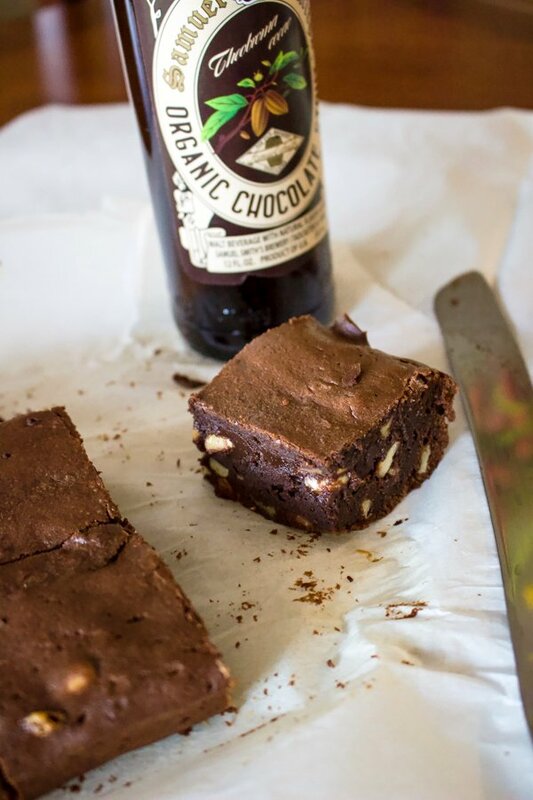 There are 3 different types of chocolate in this recipe and I found at the store a delicious organic chocolate stout beer that I loved. 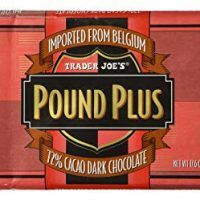 The brownies require 72% dark chocolate, which I found at Trader Joe’s in the area. I love the chocolate bars from this store. 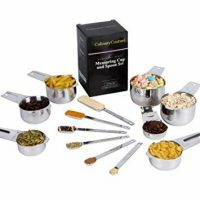 Chocolate is high quality and perfect for baking and making desserts with. I also used chocolate milk from the same Trader Joe’s, and white chocolate chips. 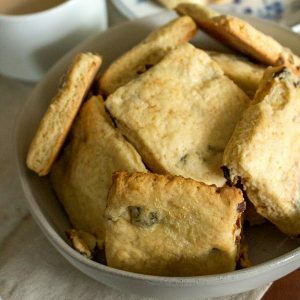 I am not really a fan of white chocolate in general, unless it’s good quality(hard to find), but regular white chocolate chips work well in this recipe. If you are like me and don’t enjoy white chocolate chips, you can skip them, no big deal. I started by preheating the oven at 350F. As I said before in many of my recipes, this is the first step when you get in the kitchen to bake. Nothing more annoying than being ready to bake and having to wait another hour for the oven to get hot. Also, I measured and put together my ingredients. The “mise en place”, as they call it, the French culinary term for putting in place your stuff before you start working in the kitchen. 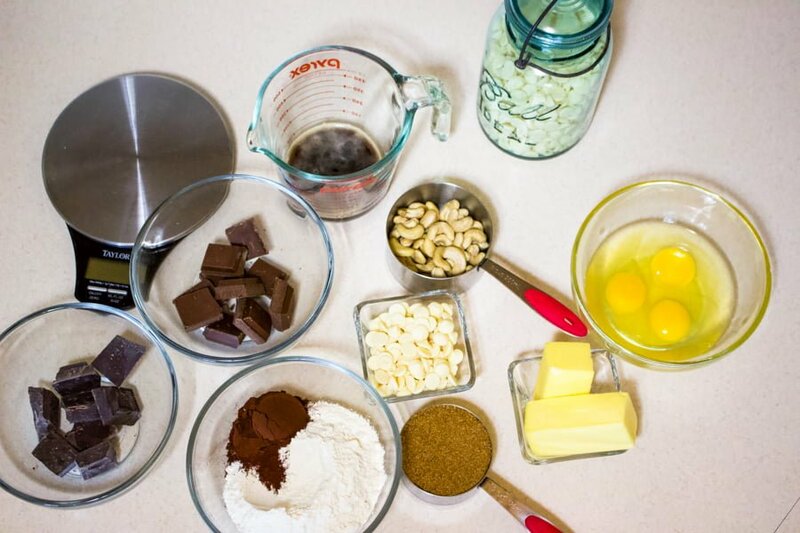 Do you have enough sugar, flour, chocolate chips? Where is the bowl, the mixer, and how many eggs you have left in the fridge? Butter, eggs, brown sugar, flour, cocoa powder, 3 different types of chocolate, nuts(I used cashews) and of course, beer. On the left side of the photo, you will see my scale. I like measuring everything when I bake. In fact, you should too. I know we are all about simplicity and convenience, but baking is science and fun at the same time. If you do not follow the instructions, at least for the first time, there are no guarantees. Anyway, I buttered an 8×8 baking dish and lined it with parchment paper. In a mixing bowl, I put the butter with the dark chocolate and milk chocolate. I placed the bowl over a saucepan of gently simmering water, making sure the water doesn’t touch the bottom of the bowl. Wait for the chocolate and butter to melt. Stir once in a while to combine them. After this step is done, set that bowl aside to cool while you work on the next step. Separately, grab another bowl and with an electric mixer, beat the brown sugar and the eggs together, until light and fluffy. 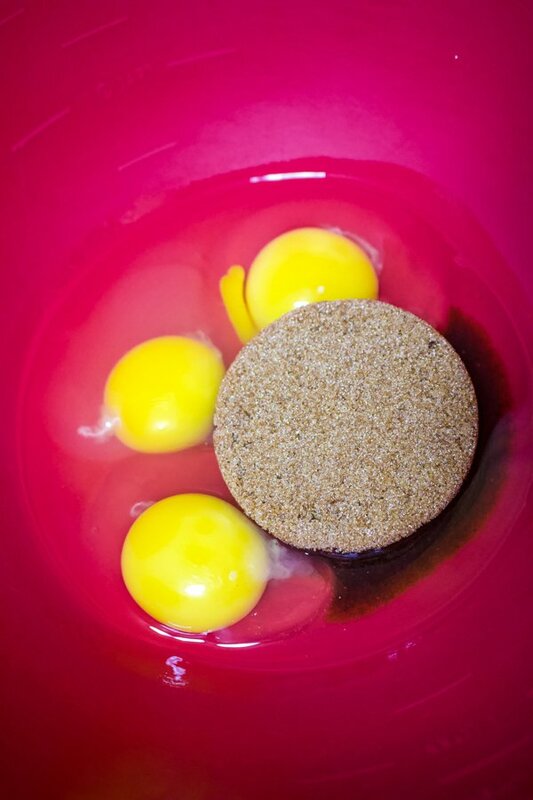 Add the melted chocolate to the eggs and keep mixing. Also, add the stout beer and mix some more. 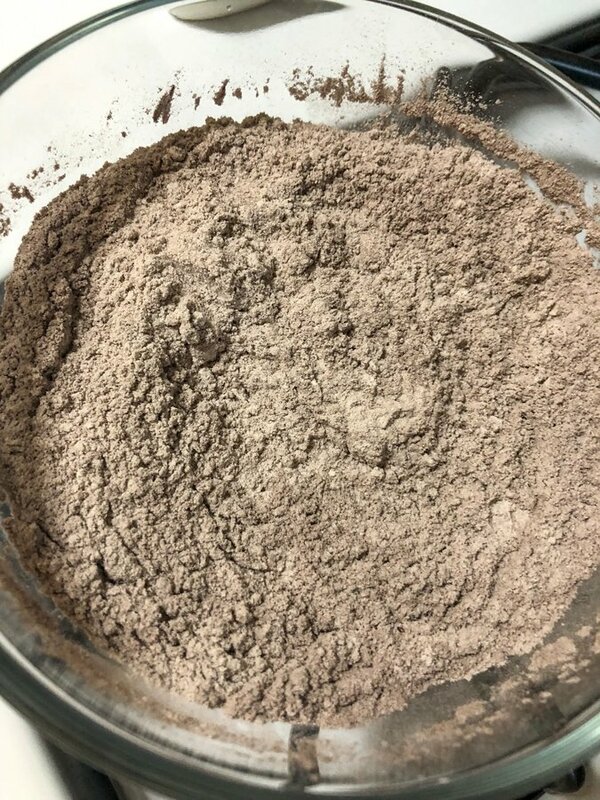 Measure the flour and the unsweetened cocoa powder and mix them together. If you can sift them, better, if not, just whisk them together and make sure you have no lumps in the mixture. Add the flour to the wet ingredients and fold it slowly. Also add the nuts and the white chocolate chips. Bake for about 15 minutes until it sets. 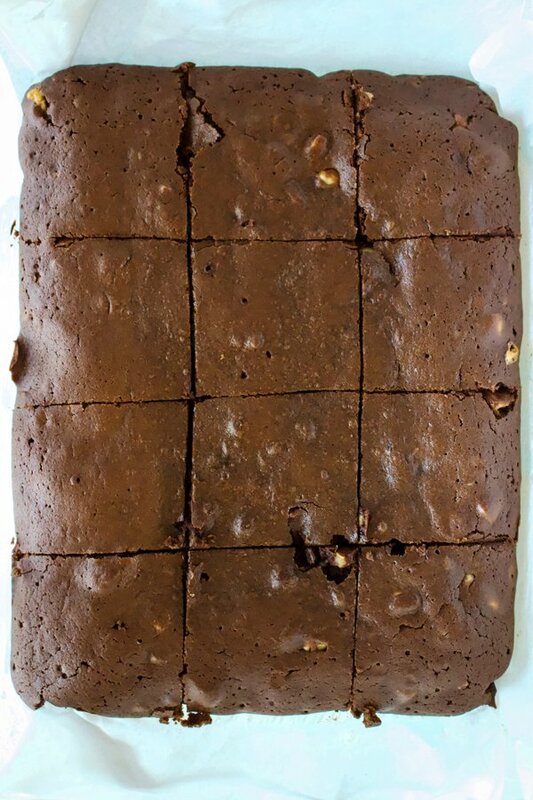 Take the brownies out of the oven and let the pan cool on a rack. Cut and serve. 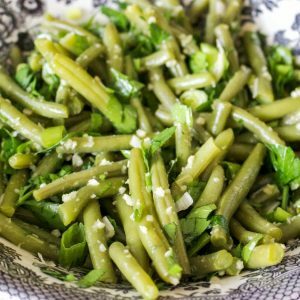 You can get about 12 to 16 servings, depends on how you cut them. 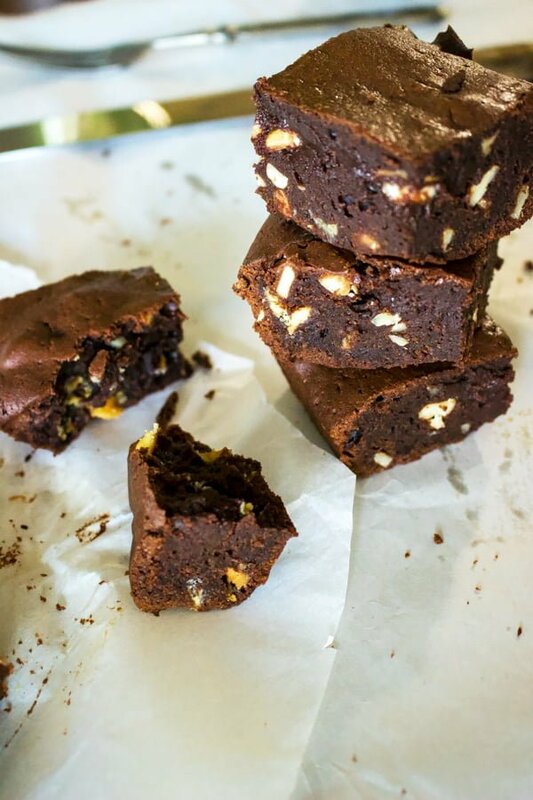 The brownies are divine and look amazing! 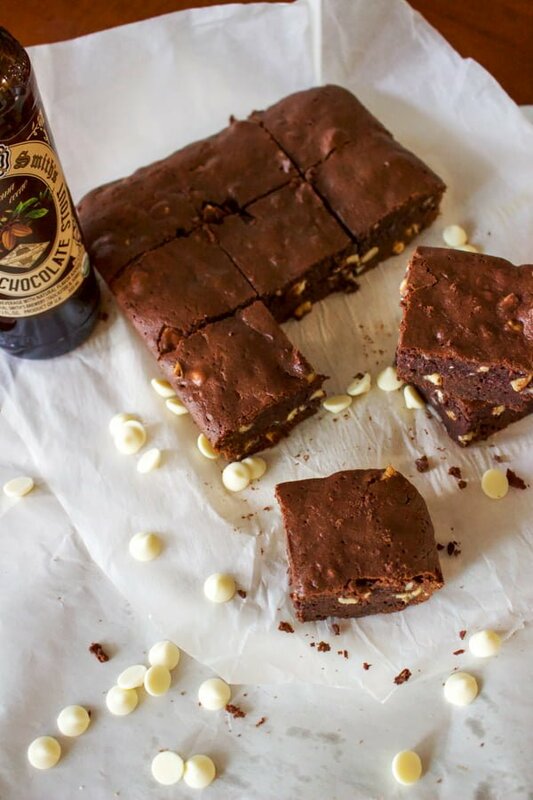 Because you don’t need the entire bottle to make the brownies, you can enjoy a glass of that chocolate beer with these brownies when done. No reason to waste the beer. 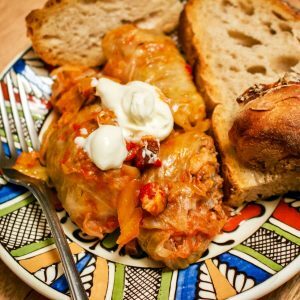 If you thought the beer is just for drinking and not for cooking, this recipe will definitely make you think again. Look at these beauties and imagine the taste. 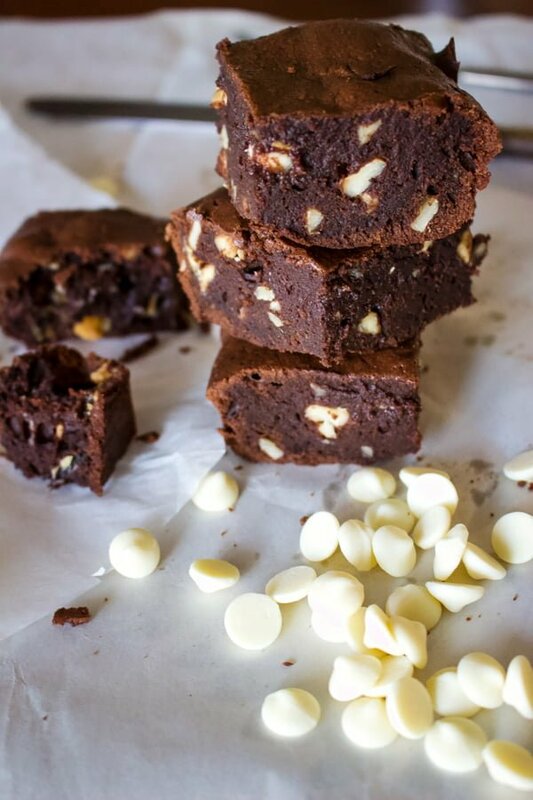 There is a wonderful balance between the bitterness of the cocoa powder, dark chocolate, beer and the sweetness of milk and white chocolate. 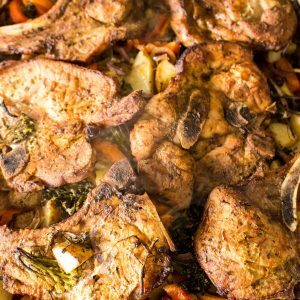 The nuts will give the crunchy texture and also flavor. What do you think? Ready for getting in the kitchen to bake ? 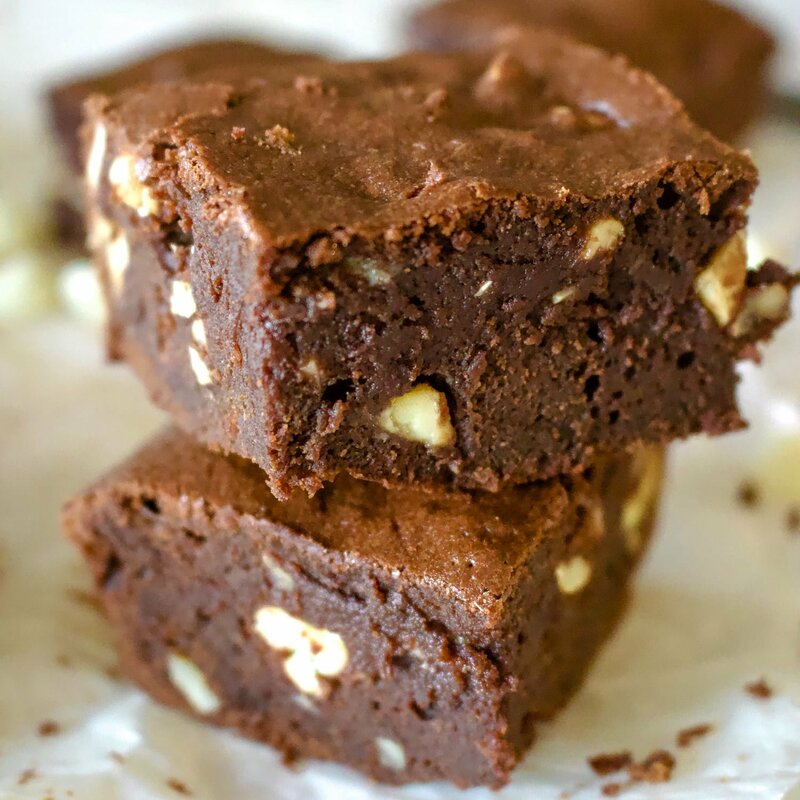 Triple Chocolate Stout Brownies With Nuts- a decadent dessert that uses three different types of chocolate plus a delicious chocolate stout beer. 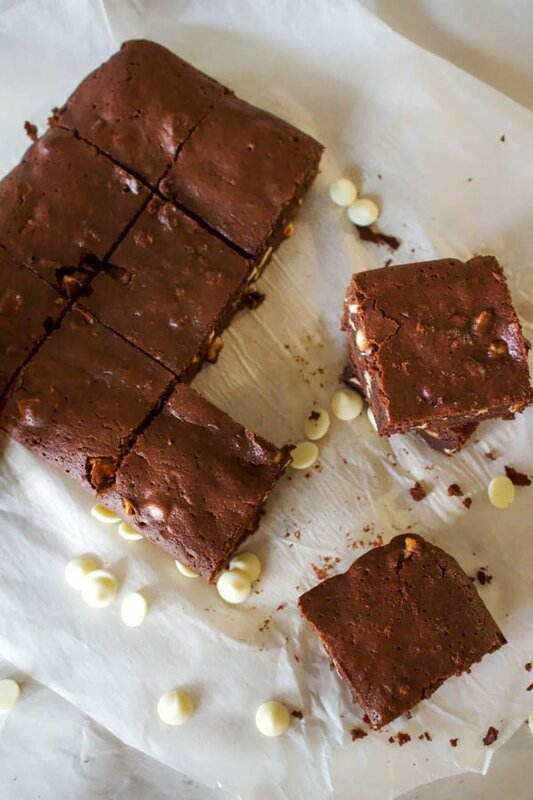 Very easy to make and delicious, this brownies are all you need to calm an acute chocolate craving. Grease an 8 inch square baking pan and line it with parchment paper and set aside. 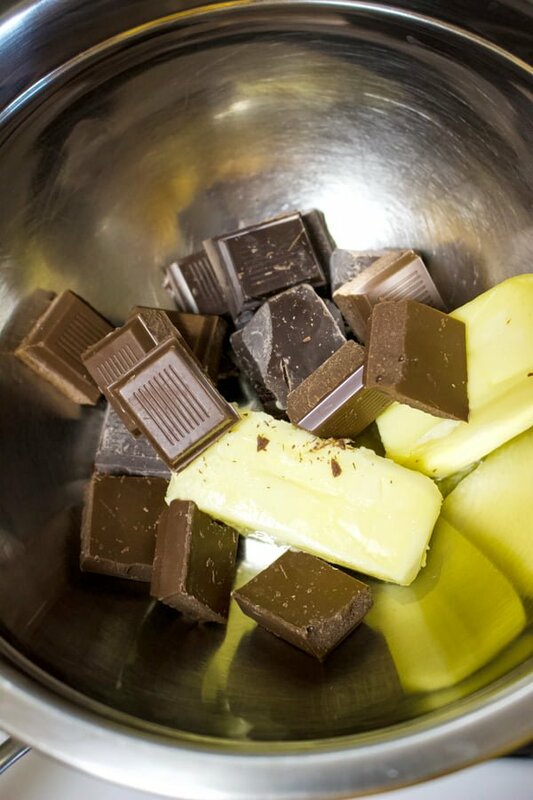 In a mixing bowl, put the butter, milk and dark chocolate together. Place the bowl over a saucepan of gently simmering water, making sure the water doesn't touch the bottom of the bowl. Stir gently until the ingredients melt and combine. Remove the bowl from the heat and set aside to cool. 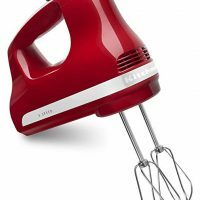 In a separate bowl, use an electric mixer to beat the eggs and sugar together, for 10-15 minutes, until light and fluffy. Add the chocolate stout beer and mix again. Add the melted chocolate and mix throughly. 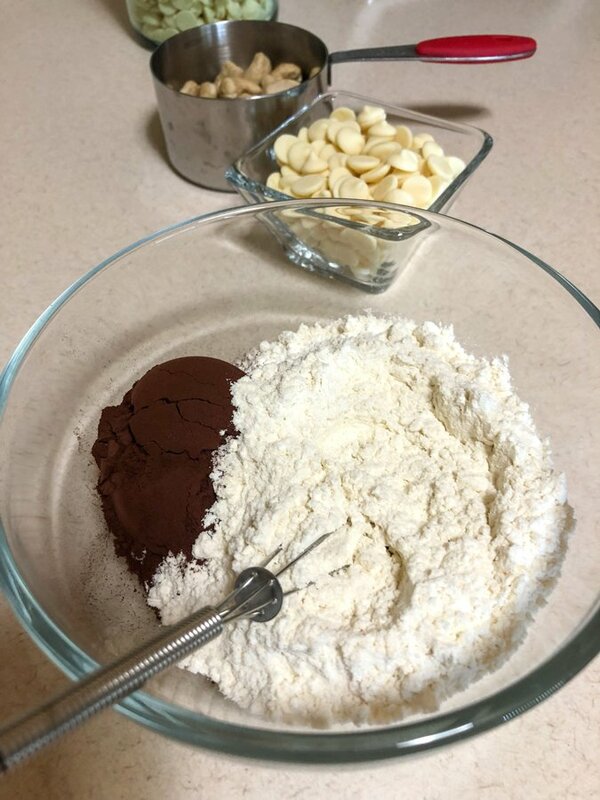 Separately combine the flour with cocoa powder and add them to the rest of the ingredients. Fold the flour into the batter. Add the nuts and the white chocolate chips. 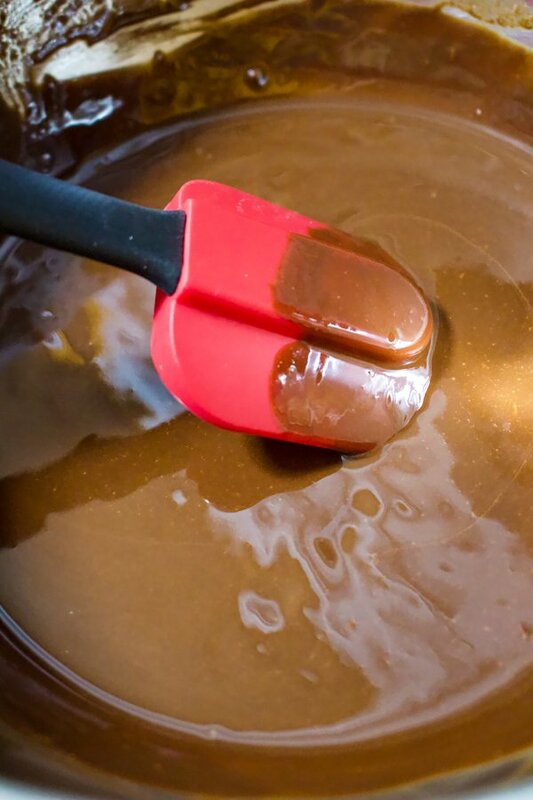 Pour the mixture into the prepared dish, spreading the batter evenly. Bake for 15 minutes. Remove from the oven and let it cool on a wire rack before cutting into squares. 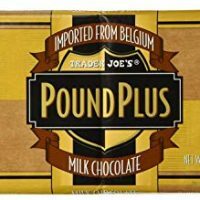 Trader Joe's Pound Plus Milk Chocolate 17.6 oz.